Need a tow for your car or truck? If you have it, we can move it! 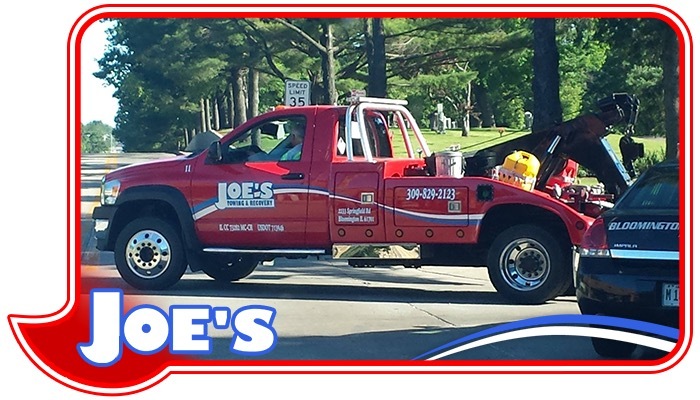 Joe’s has state-of-the-art equipment and experienced drivers ready to tow any light or medium duty vehicle. 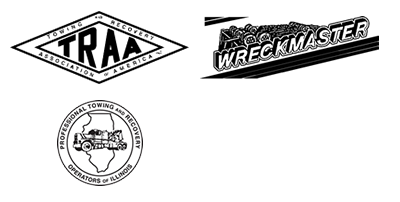 If you’re looking for a towing company in Bloomington, Illinois or the surrounding area, look no further than Joe’s Towing & Recovery! 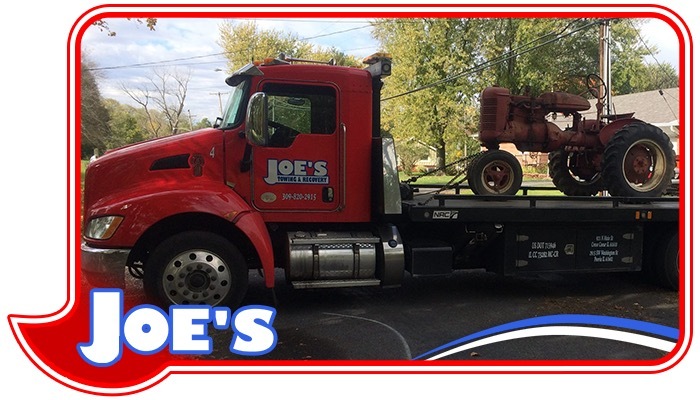 For the best flatbed towing in Bloomington, Illinois call on Joe’s Towing & Recovery! Breakdown on the highway? Overweight at the scale house? Did the load shift during transport? Did it come completely off the trailer? 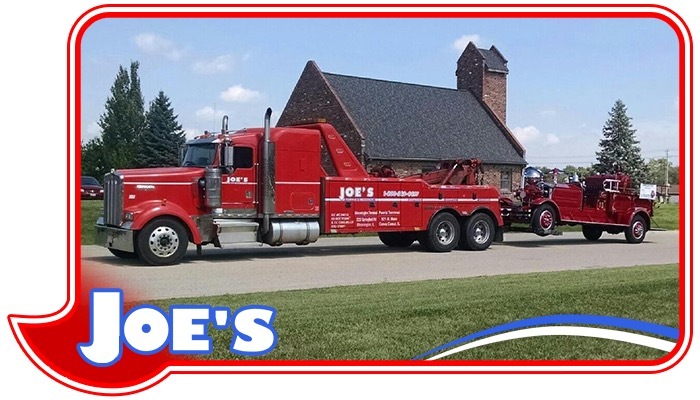 One call to Joe’s Towing & Recovery can solve whatever issues you might be facing with your truck. Let us handle the heavy lifting! 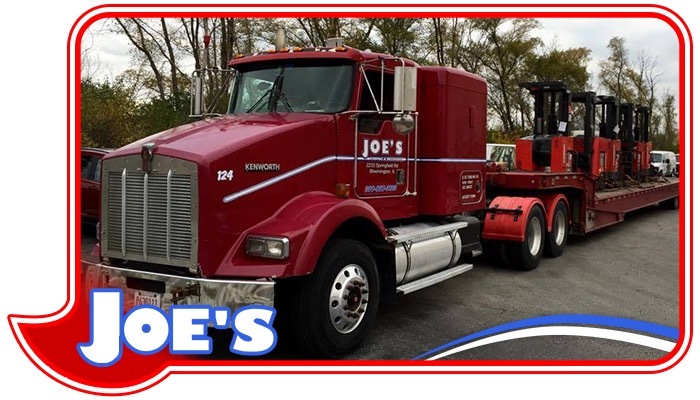 Joe’s offers local and long distance transport for any light, medium, and heavy duty vehicle. 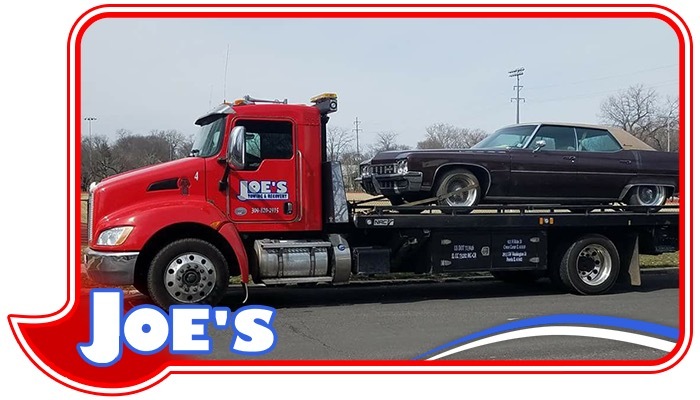 Trust us at Joe’s to have your ride at it’s final destination safe and on time! If you have it, we can move it! That’s our motto, and it applies to pretty much any type of equipment you might have. Joe’s Towing & Recovery has lowboys and flatbeds to haul all your specialty or farm equipment local or long distance. When you need something moved, call the pros at Joe’s!